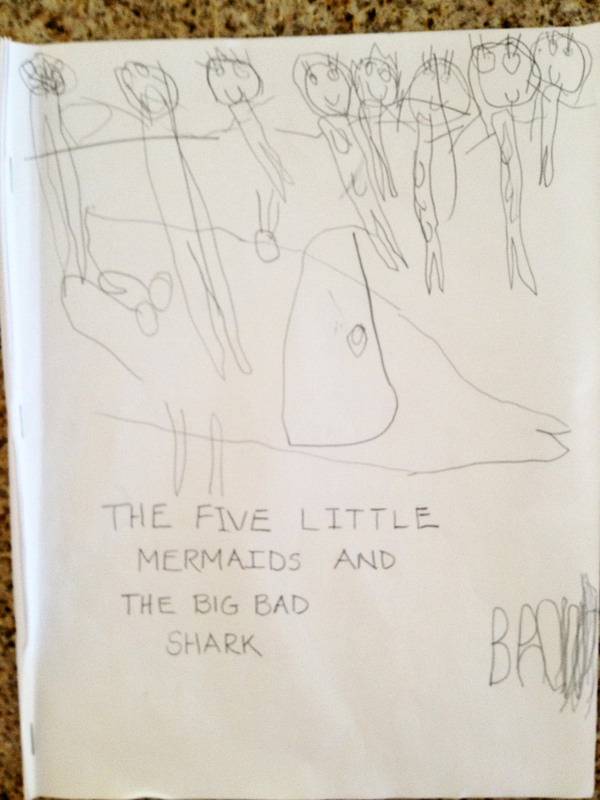 So, technically, there are 8 little mermaids illustrated, but she insisted the story was about five of them and their quest to build a shark-proof house. Note: She came up with the building materials all on her own. A good author does her research. The epilogue leaves room for a sequel. I like that.